Hand-sculpted using artisanal techniques, the Double C Nightstand is part of the covetable night collection by Daytona. Inspired by the refined lines and glamorous feel of the art deco era, this nightstand will add a touch of sophistication to your bedroom setting. 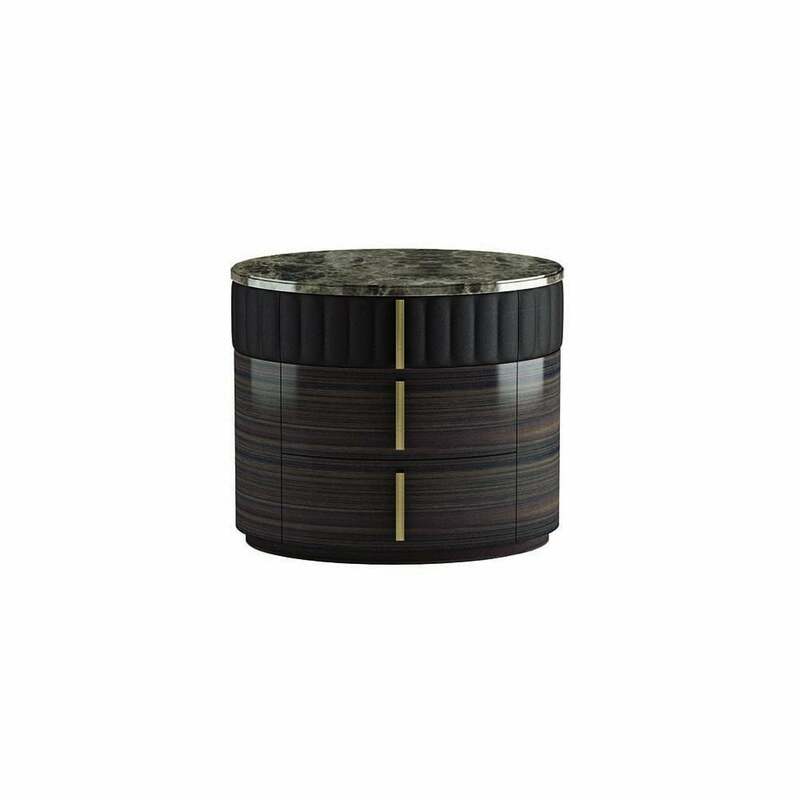 The strong plywood structure features a dark walnut veneer with a brushed gloss finish. The top drawer is finished in a grosgrain leather with Capitonné detailing. Each drawer is fitted with burnished brass handles and lined in a luxurious fabric with soft metallic runners. Completed with an emperador marble top, the Double C Nightstand is the epitome of chic Italian style. Pair with the Lord bed for a modern take on 1930’s interior design.